A topic that has always interested me is the LGBTQA+ community and all the issues they go through, and affiliated with. I’m a member of the LGBTQA+ and a lot of my friends are. I’ve witnessed some of it’s troubles, even been a part of them. It’s hard to see, and can be hurtful. One issue right now is transgenders in the military. Trump doesn’t want them in the military. He tweeted that transgenders are no longer allowed in the military. The supreme court ruled against this, but he’s still pressing for it. There are also those who use arguments about transgender suicides to keep them out. Well, I have some statistics on all of this. “I would just probably say that I believe any individual who meets the physical and mental standards, and is worldwide deployable and is currently serving should be afforded the opportunity to continue to serve,” This was said by General Joseph Dunford, and I can’t agree more. You can not decided a person’s mental state just because they identify a certain way. Yes, transgender suicides are high. Do want to know what else is in the division of high suicide rates? Our military suicides in general, adults between the ages 45-64 years of age, white males, men in general, people over 20, American Indians, and it comes with area. Also, suicide is the 10th leading cause of death in the U.S. Are we going to start banning all these people who are included in the divisions high rates of suicide? Also, did you know the military has required mental health screenings? Maybe we should look at helping mental health before we go after people because they’re in a demographic that’s suicidal. We should also learn how to help the individuals. Let’s do some transgender suicide statistics why don’t we? Transgenders with strong support are 82% less likely to commit suicide. Transgenders who have only had a highschool education or less are 49% more likely to kill themselves. Transgender people in states without LGBT legal protections are at high risk of suicide. Transgenders who are physically or sexually abused are at higher risk of suicide. Studies show that if a transgender person is treated like a cisgender person, and not different, their risk of suicide is just like the general population. Those whose parents reject their gender identity are 13 times more likely to commit suicide than those with support. This is the same for being rejected by friends. Suicide is not just biologically wired in a transgender person! A lot of this is external things causing harm. The military and transgenders by Whitlee is licensed under a Creative Commons Attribution-ShareAlike 4.0 International License. After reading your post, I agree with what you have said but I would also like to add my on reasons why I believe that transgenders should be in the military. Many people judge others because on how or what they identify as. Such as many people believe that being transgender is a mental disorder but this is not true. A mental disorder is when a person has a disability or anguish. 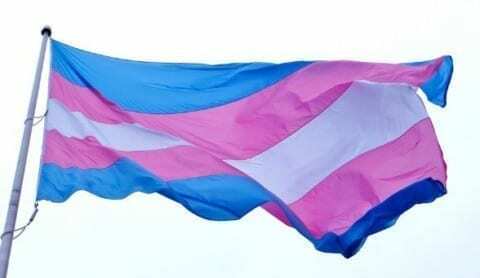 Moreover, “Many transgender people do not experience their gender as distressing and a disabling, which implies that identifying as transgender does not constitute a mental disorder” (1). From what was stated, most people won’t understand or know that this is not a disorder. And that’s a misconception that people should know the actual truth. Being transgender is not a disorder is it doesn’t even fit in the category. Being transgender is just identifying yourself and how you see yourself as. I agree with your statement on your post that transgenders should be allowed and how a military general has said that transgenders should be allowed in the military. Not to mention what he said, “I would just probably say that I believe any individual who meets the physical standards, and is worldwide deployable and is currently serving should be afforded the opportunity to continue to serve” (2). Since this was said by a general, it does prove our statements why transgenders should be in the military. It does disappoint me and it probably disappoints many people that our own president does not approve of this but we will show him that anyone can be in the military. In this world, we as a society think that everyone has equal rights. However, you and I can agree that many rights have been taken away from transgenders because on how they identify as thus resulting in their rights being taken away for unjust reasons. Transgenders don’t have the same rights as everyone else while they should. Everyone should have equal rights no matter what. The United States Constitution even supports this idea. Nobody can take away the rights and freedom of others. Not even the Government or Congress. Likewise, “ Congress shall make no law respecting an establishment of religion or prohibiting the free exercise thereof, or abridging the freedom of speech or of the press” (3). This protects very single person’s rights without any discrimination and nobody can interfere with this so that transgenders don’t have their basic rights. They should have their own rights. There shouldn’t even be a reason why they can’t do something just because they are a little different. It doesn’t change the fact that they are still people. Although transgenders are protected by the Amendments, this does not protect them from everything. This does not protect them from discrimination. Jaime is a fifty year old transgender latina woman who applied to college in order to become a flight attendant. In spite of her dreams, “the dean of the college told her she could not attend the school because she would not be accepted in some countries because she was a transgender woman. She was forced to leave college, but Jaime refused to give up on her dreams” (4). This should not happen. Like before, transgenders are people too and they should be treated the same as anyone else. Discrimination also happened in the 1960’s and it shouldn’t even happened in the first place. It’s unfair and these foolish people are discriminating people just because they’re different. One thing everyone learned when they were younger was to be kind and respect others. And everyone should remember this. In addition, Transgenders should be allowed in the military since they meet the requirements. Since they meet the criteria, they can be allowed to sign up. Nothing is stopping their right to sign up for the military. Furthermore, “Some qualifications are required by all five services: You must be a U.S. citizen or resident alien, You must be at least 17 years old (17-year old applicants require parental consent), You must pass a physical medical exam” (5). These requirements can be met by almost everyone so why are transgenders left out in this situation. They are like anyone else so why are we making them feel and making transgenders sound like they aren’t humans? They deserve respect from everyone else and there is no reason why they should be disrespected. The requirements are not the only things that transgenders have to do in order to be in the military. Education is a very big thing in order to join the military. Although there are different requirements, having an education is one of them. Similarly, “Enlisted members do the hands-on work of the military. They need at least a high school degree (a GED may or may not suffice)” (6). Transgender can and will join the military if they want to. There is no rule or anything that the president can make to block their rights. They are human beings like everyone else and they should have the right to join the army if they want. There is nothing stopping them and there shouldn’t be anything stopping them for what they want to achieve. After reading your post I totally agree that transgender people should be in the military. You did mention the suicide rates for transgender people and that it isn’t okay for the military to stereotype transgender people but your research seems to be a little bit in the wrong direction. In my opinion, I think that transgender people should be given the same rights as anyone else and that includes the ability to serve in the military. First of all, there are already a large percentage of transgender people currently serving in the military. A 2014 study shows that “15,500 trans people were currently serving in the U.S. military.” (1) This many people who are currently serving is huge! Letting people in the military would hurt the numbers in the military, making it very hard for people to get in the military. In fact UCLA researchers found that a “ staggering 21% of all transgender U.S. adults (or 150,000 transgender people) have served in the military.” (2) This evidence shows that not only 15,000 people are in the military but 150,000 people have served over the years! Moving on to the last reason is that being transgender doesn’t break any of the rules or regulations to joining the military. When you are going into the military you have to meet their requirements. A couple of them are “You must be a U.S. citizen or resident alien. You must be at least 17 years old (17-year old applicants require parental consent). You must (with very few exceptions) have a high school diploma.You must pass a physical medical exam.” (4) If a person who is transgender can do all of those things and is not allowed the military would have to narrow the requirements to let a person with none of these requirements into the military. Continuing with the requirements, my aunt was interviewed who is a woman in the military says that “In good health for the military the basis is the Army Physical fitness test. This consists of getting so many push-ups as possible in 2 min, sit ups in 3 min, and run 2 miles as fast as possible. However this is not the most accurate way of testing the physical side. So now the dod is looking to create more of a CrossFit full body style. For the military you want to eat right, and exercise. Height and weight right now is also considered to part of the health, but again the ways that this is being revised since the current ways aren’t correct. However good health is also considered to have connection to your family and spiritual health..” Anyone can do these things of course it needs training but if your are that committed. Showing that transgenders are not being allowed into the military just because they are transgender. Wrapping it all up, it really shows how the military not only needs transgender people but it shows how transgender people depend on the military for insurance and getting their surgery. I am glad you chose to write about this topic “The military and transgenders,” because I’m just now finding out about transgenders not being able to join the military by reading your post. I hate that transgenders have to go through so much cruelty. One sentence you wrote that stands out for me is: “Trump doesn’t want them in the military” I think this is crazy because our own president is not allowing them to be who they want to be. I believe that everyone should be treated equally. Another sentence that I paid attention to was: “Those whose parents reject their gender identity are 13 times more likely to commit suicide than those who support.” This stood out for me because the parents is supposed to be their biggest support. Trans should not have to go through this because they did not asked to be born that way. Thanks for your writing. I look forward to seeing what you write next because your topic was very interesting and encourages me to share this with others that don’t know about this important news. I am very glad you decided to talk about this subject. I would say your writing was more about tow separate topics, transgenders in the army and transgender suicide. I understand these are both very serious subjects and agree that trans and all LGBTQA+ should be allowed to be in the military or any position allowed to the general public. I think including the Generals statement was a great addition showing why there is not reason they are any less eligible than anyone else. Thank you for talking about this topic, I have so many friends that are transgender and go through so much pain and suffering, several of them have tried to suicide or hurt themselves severely in the past. A lot of them have come out to their parents and some haven’t but all of them were so worried about their parents reactions which have caused them severe anxiety. I 100% agree with the Generals statement saying if they are of sound mind and body, why shouldn’t they serve? I hope in the future that the LGBTQA+ community won’t have to deal with issues like these.